True life spy thriller you can’t put down! SPYS…Wealthy Dubai Businessmen…Luxury Submarines…and a harrowing escape Former French Secret Service agent, Herve Jaubert, writes a story that will make your hair stand on end. 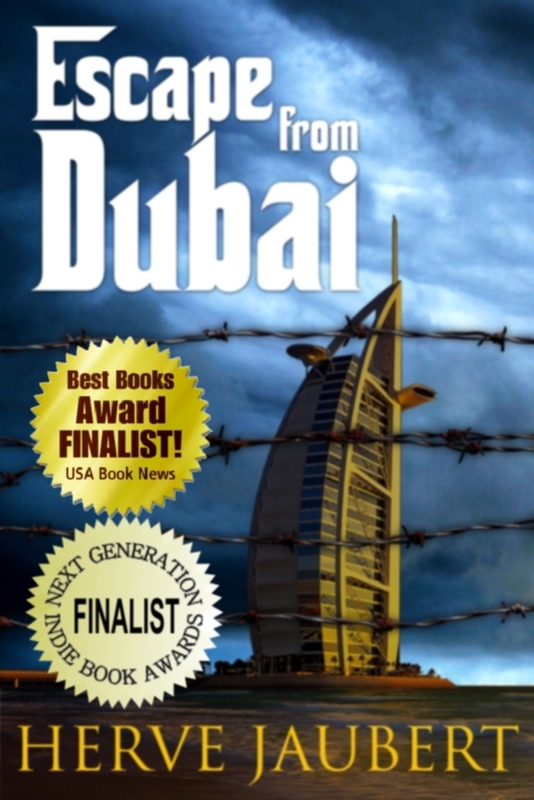 From a life of luxury in the opulent city of Dubai to promised ruination, Jaubert tells a tale of espionage and escape that rivals any best selling novel on the market. Immersed in a luxury submarine business, Jaubert was hired as CEO by Dubai World to develop and design miniature subs for the wealthy. Once problems developed within the business, Herve Jaubert became the scapegoat of government officials and found himself ensnared in a web of police threats, extortion, human rights abuses and coercion. With no chance to make it through their biased legal system, Jaubert planned the escape of his life. Herve Jaubert is a submarine builder, former French Naval Officer and Marine Engineer. He served as a covert operative for the French Counter-espionage at the DGSE, the French Secret Service. In 1993 he left the DGSE and moved to the US where he invented and developed a complete line of recreational submarines and combat frogman submersibles. In 2004, Sultan Bin Sulayem, the Chairman of Government owned and now endebted Dubai World, visited Herve’s submarine factory in Florida and offered him a partnership to build and develop submarine manufacturing company in Dubai. Herve Jaubert moved to Dubai with his family, transported his operation and created a state of the art factory. Soon, he fell victim to a corrupt system and megalomaniac leaders who forced him to surrender his passport, held him hostage, coerced him to surrender his assets and threatened him to be tortured and imprisoned indefinitively. After he sent his family back to the US, he went into hiding and dressing like an Emirati woman, planned an escape of the country without his passport. Two months later, he executed a harrowing escape on a rubber dinghy. Once in high seas he waited for a friend at a rendezvous to pick him up with the sail boat Herve had purchased earlier from the brother of the President of the UAE under a phony identity, then sailed to India and returned to the U.S.